Shoulder pain is a common complaint, especially as patients age. There are numerous potential causes of shoulder pain. Soft tissue inflammation around the shoulder, such as bursitis or tendinitis. 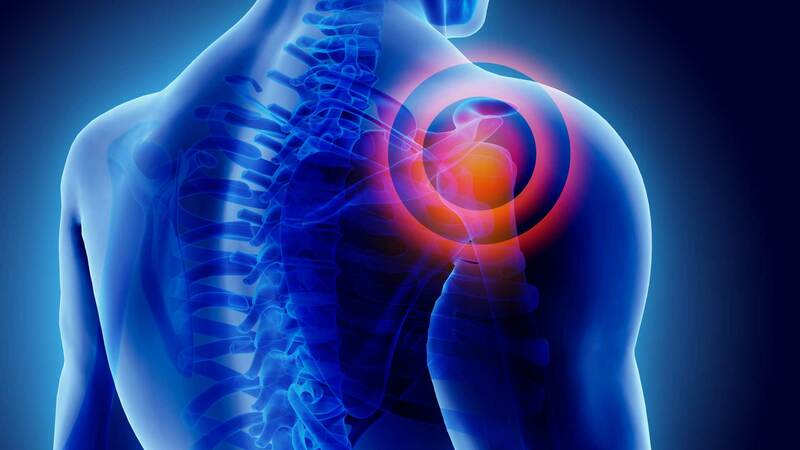 Shoulder arthritis, where there has been irreversible damage to the cartilage within the shoulder joint itself. Tears of the rotator “cuff” (the four tendons around the shoulder that allow movement of the ball and socket joint). Tears of the glenoid labrum (the cartilage rim of the shoulder joint). Occasionally, shoulder pain will present as what is known as “referred” pain – this means that although the mind senses that the shoulder is hurting, the actual cause of the shoulder pain is not the shoulder itself. “Referred pain” can come from a pinched nerve in the cervical spine or neck area. Dr. Kaper routinely sees and evaluates patients with shoulder pain- to help them, first and foremost, the source or cause of the pain; and then secondly, to development a treatment plan to treat the shoulder problem and thereby alleviate the pain. Treatments options range from the use of oral non-steroidal anti-inflammatory medications (NSAID’s such as Ibuprofen, Advil, or Aleve) to physical therapy to surgery. Dr. Kaper routinely performs partial shoulder replacement, total shoulder replacement, and reverse total shoulder replacement surgery. These procedures allow patients previously disabled by painful arthritis to restore their quality of life. Message: Hi Dr. Kaper, I'd like to request more information regarding Shoulder Services and schedule an appointment. Please get in touch with me.